The new 390 SOCP is the first folding knife in the SOCP Family. Designed by Greg Thompon as a first-option, battle-blade that compliments the other fixed blade options of the SOCP family. 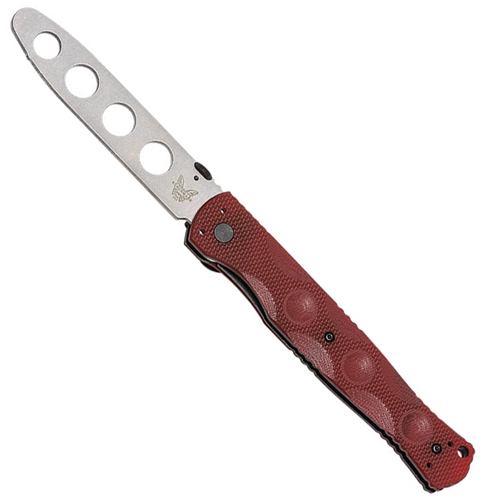 This large, yet thin, knife incorporates many features making it ideal for on or off-duty carry. The rapid deployment ring and tip-down carry enhance the speed at which this knife can be deployed from concealment and the smooth handle dimples allow for fast transition in your hand.